Supporters of the historic cross on Riverside’s Mount Rubidoux can get information and free yard signs at a meeting St. Andrew Orthodox Church has planned for Saturday, Dec. 29. 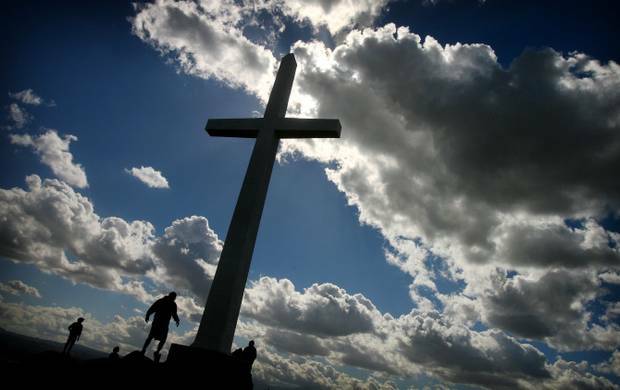 Riverside officials are debating their response to the threat of a lawsuit over the cross by Americans United for Separation of Church and State. A public workshop is planned for Jan. 15 and the City Council will take up the issue Jan. 22. Father Josiah Trenham of St. Andrews has created a website, www.save-the-cross.com, with a video and a timeline of recent cross-related events. He said he had 500 yard signs printed to give to cross supporters, and he is asking people to meet at the cross before the Jan. 15 workshop and walk to City Hall together. The Saturday event begins at 9 a.m. at St. Andrews, 4700 Canyon Crest Drive, Riverside, CA.